Please click here to preview this publication. As a result of a rise in global economic activities around the region, Asia is experiencing the inevitable increase in commercial and investment disputes, both litigation and arbitration, with a multi-jurisdictional dimension. 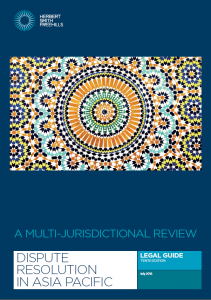 Our updated Guide to Dispute Resolution in Asia Pacific aims to provide answers to some of the basic questions a party unfamiliar with a particular jurisdiction will wish to ask when facing the prospect of having to engage in a dispute resolution process in that jurisdiction. Aspects of litigating and arbitrating across the region will, though, not only be of interest to parties once they are faced with a dispute, but also at the stage of negotiating contracts, when deciding on the choice of law and whether to include jurisdiction or arbitration clauses in favour of a particular jurisdiction. 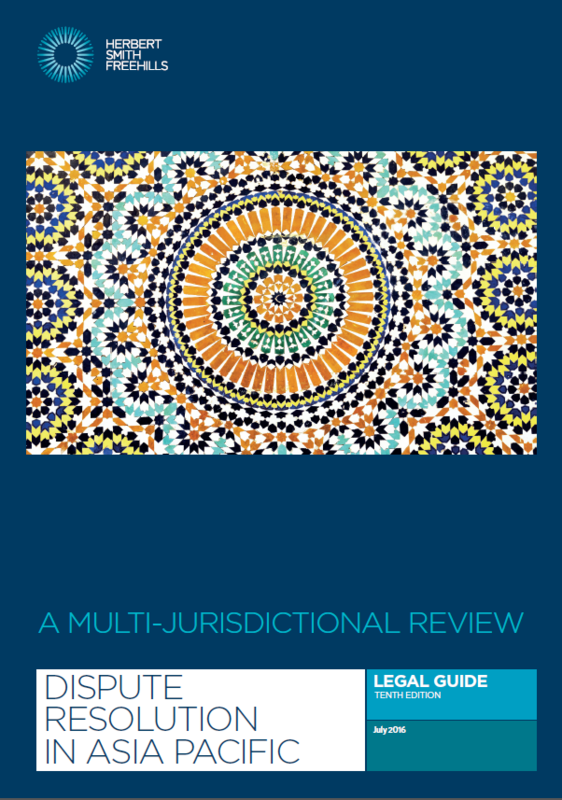 This year, as well as including a new chapter on Laos, we have added three new questions across each of the 19 key jurisdictions that are featured in the guide covering the following areas: class actions, disclosure of electronic documents, and the service of foreign proceedings.